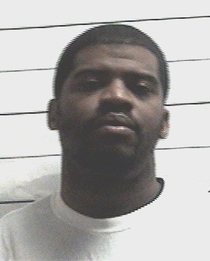 The NOPD has arrested a Gert Town man on illegal firearm possession charges. On Jan. 22, NOPD Second District detectives secured a warrant for Darius Tapp, 29, after receiving numerous Crimestoppers tips regarding Tapp being a felon who was in possession of a firearm. Tapp was located on Jan. 26 outside of his residence in the 3300 block of Fern Street. Execution of a search warrant on Tapp’s residence revealed Tapp to be in possession of a loaded handgun, loaded assault rifle and a full box of ammunition. Research on the handgun found it to have been reported stolen in an incident dating back to June of 2016 in Orleans Parish. Tapp was also found to have been in possession of marijuana. Tapp was arrested and booked into the Orleans Parish Justice Center for possession of a firearm by a felon, possession of a marijuana and possession of a stolen firearm. Anyone with any additional information on this incident is asked to contact the NOPD Second District at 504-658-6020.